The “Underdogs” are ready to rumble! We are all packed and on our way to LA International. Wednesday evening the 14th we have an appointment at 10:00pm at Air China to sort the myriads of bags, Sportubes and winch cases. Our flight leaves Los Angeles just after midnight Wed 14th flying for around 12 hours to land in Beijing. We cross the International Dateline on the way – meaning we jump forward a day to arrive on Friday 15th. 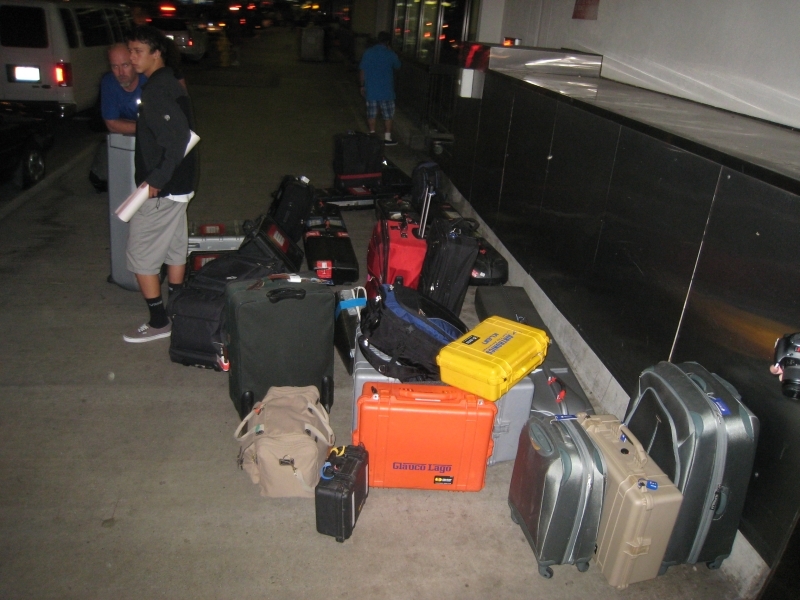 Dave and Tim stack it all up nice and neat as they get ready to checkin at Lax. 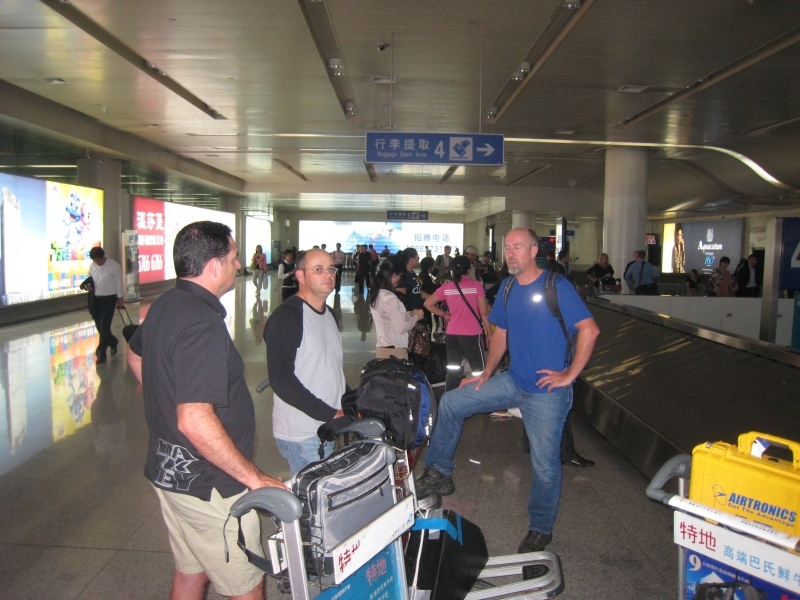 Glauco, Kyle and Tim waiting at the carousel after 12 hour flight to Beijing. That is a lot of luggage for an International trip. 5 Sportubes with 3 aircraft in each one and 6 winches. 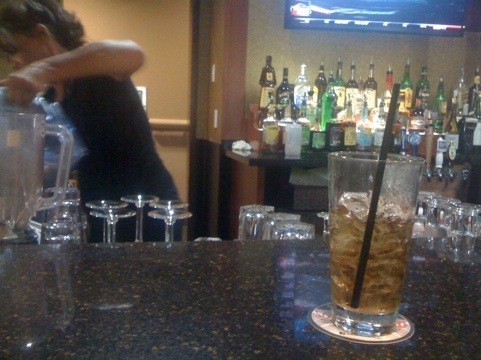 Two Kwik jack and cokes cost $30 at Orlando International. Definitely the most I have ever paid for a drink! Raped I was! Now my flight is delayed with an engine that won’t start. !! Things surely will improve from here on. well things haven’t got much better from my point as my flight was delayed 3 hours and I missed the Air China connection and am stuck at the Marriott at Lax. 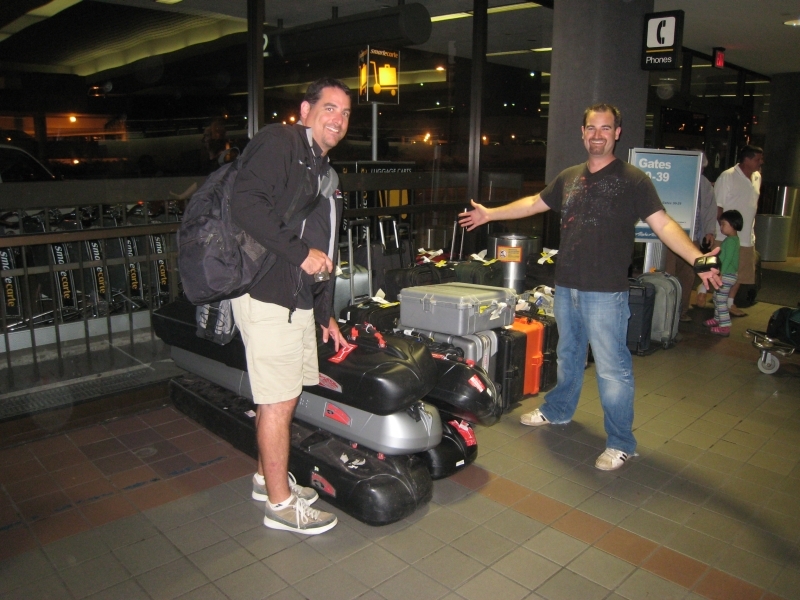 Meanwhile I am happy to report thAt the rest of the team and all the luggage did make the flight and are enroute to Jinan. I tried just alittle too hard to to run from Terminal 7 to 2 (in vain) and have corked the muscles in both calves. Can hardly walk. Have a big ice bag under my legs to see if that will help. Things definitely need to improve from here. We will see if we can catch the next flight out. Good news Air China has me on a 1:30 pm flight so I’ll be leaving as the team is arriving in Beijing just 11 hrs behind.